(L-R) Christella Demetriou and Argyris Argyropoulos. 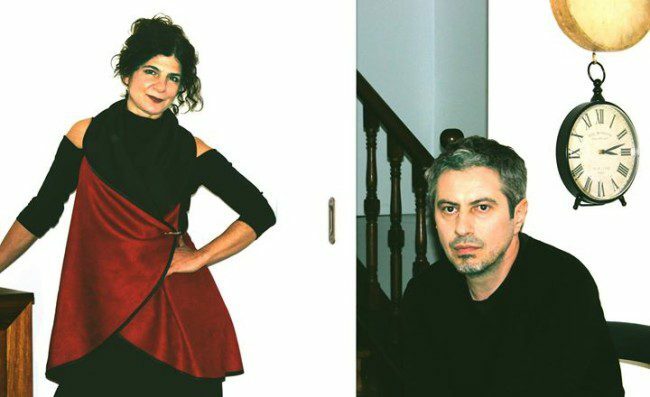 Christella Demetriou and Argyris Argyropoulos join forces to present a colourful palette of traditional and contemporary Greek music sessions at Open Studio in Melbourne. Christella has lived in Athens for the past 15 years working as a composer, musician and visual artist. She sings and plays the bouzouki while she has worked with accomplished soloists across several musical traditions including classical and jazz. Much of her musical composition is based on ancient and modern Greek poetry. She has released an album titled ‘Sappho, Kavafy’ and is currently preparing to release another cycle of songs. Meanwhile, vocal and acoustic guitar player Argyris Argyropoulos has been performing and recording Greek urban folk music or rebetika since the ’90s. As a member of various groups he has been instrumental in presenting, preserving and playing some of the more obscure elements of this music. He has participated in countless concerts and festivals in Australia and overseas. Joining them will be Ilias Gilos, who has recently settled in Melbourne from Thessaloniki where he studied and worked as an accordionist. He also has a deep understanding of traditional as well as contemporary Greek music.